I'm way into flat ankle boots as my comfy choe of choice for fall! I love how they look with skinny pants or tights - just a touch of menswear edge! 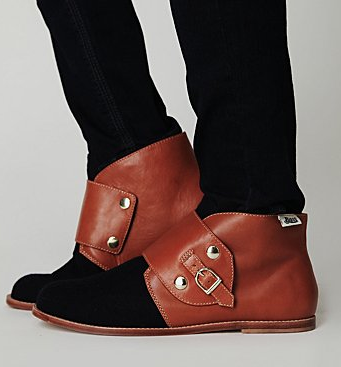 Buy these Bass foldover buckle ones for $148 at Free People.